This is a really decent sized sample. It smells amazing ( Duh! It contains roses!!) 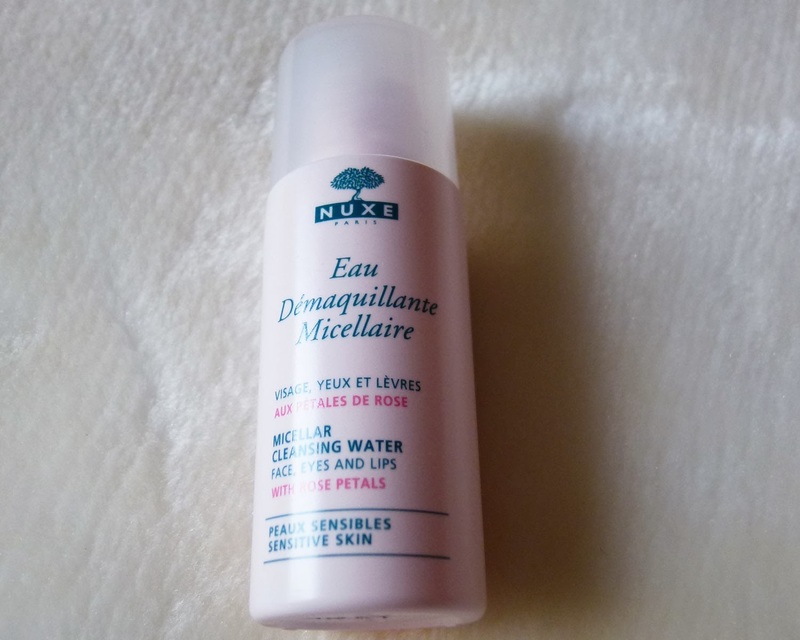 and is something similar to the Bioderma Sensibio H2O..I've always wanted to try something from Nuxe but I was kind of hoping for the Nuxe Huile Prodigieuse dry oil that was included in some other boxes this month.. There is some error in the price and size of this product. 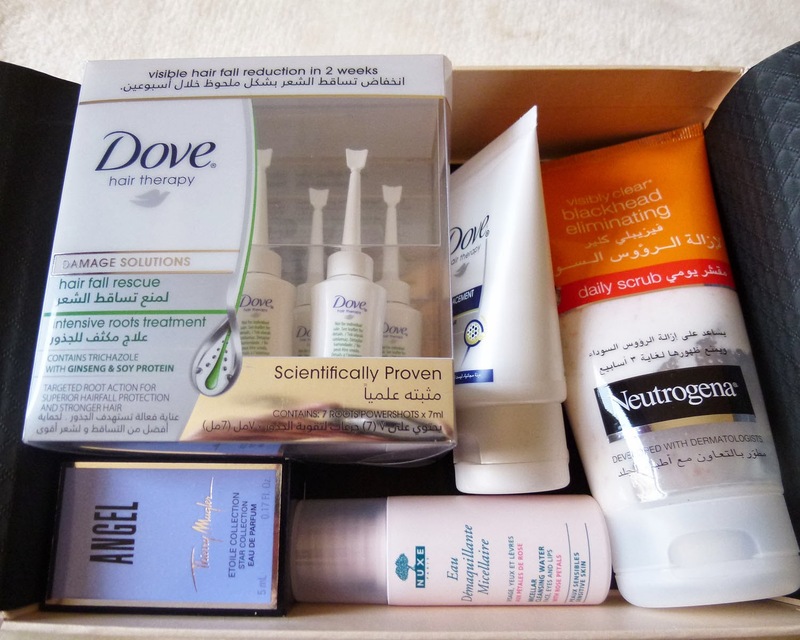 But I'm so happy about Dove being included cause it's one of my favorite brands ever.. 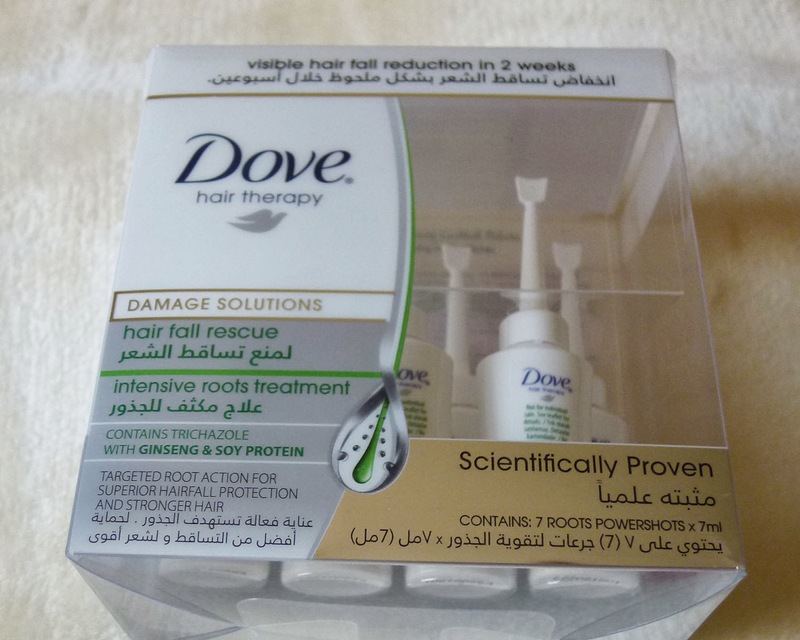 This is a leave in treatment for damaged hair which is totally me.. This is one the full sized product in the box. 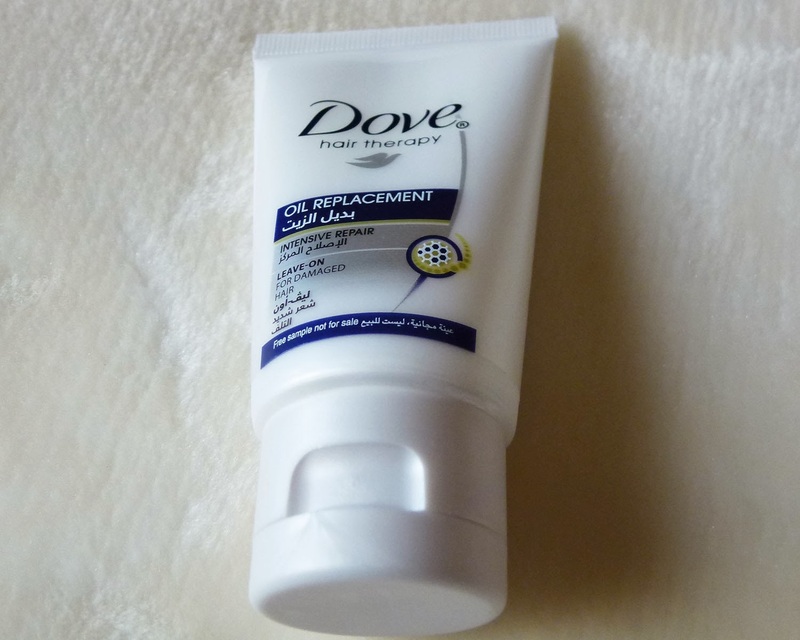 I have heard raves of this product particularly from Naznin, a fellow blogger (Click here to view her blog). 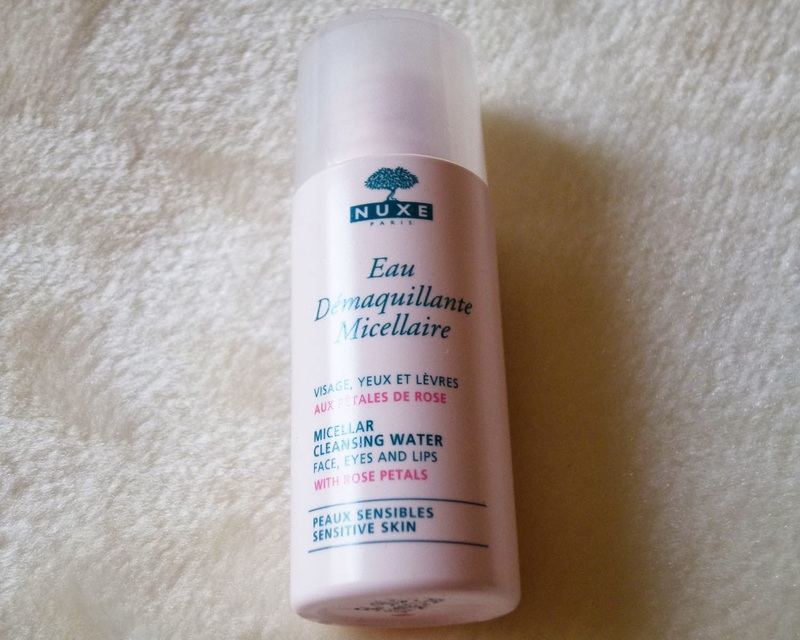 This has 7 individual vials of product in it to be used every alternate day.I'm in a bad hair fall situation now so super duper excited to try this.. I'm not a perfume girl but I love perfume bottles and this one is super beautiful. It has a fresh cologne scent and is really strong. This is a full sized product. 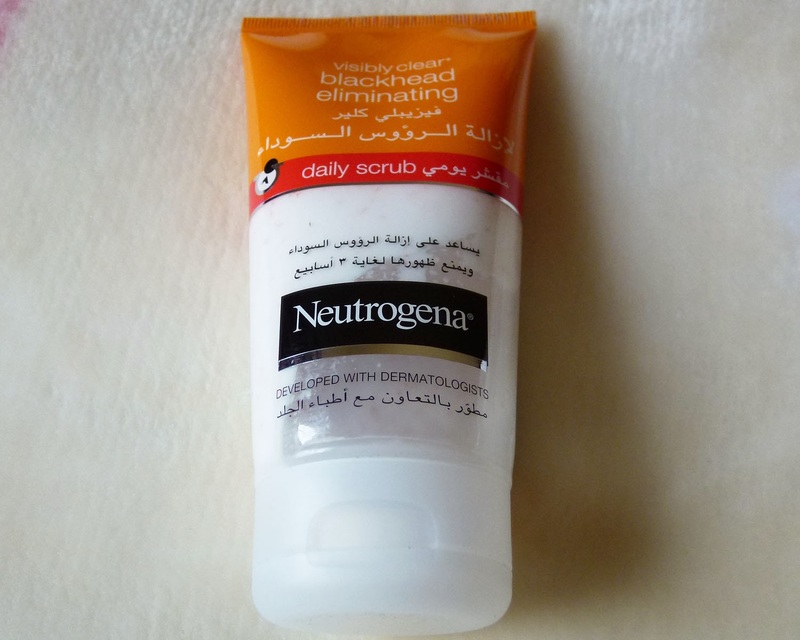 I love Neutrogena range of products because at one time they really helped me control my acne but they are not much oriented towards dry skin people. This time I'm way better satisfied with my glambox than before... So guys stay tuned for reviews on these products. Do let me know if you need any products to be reviewed first. I like the September Glambox!. I haven't subscribed yet to it but I will, hopefully soon =). 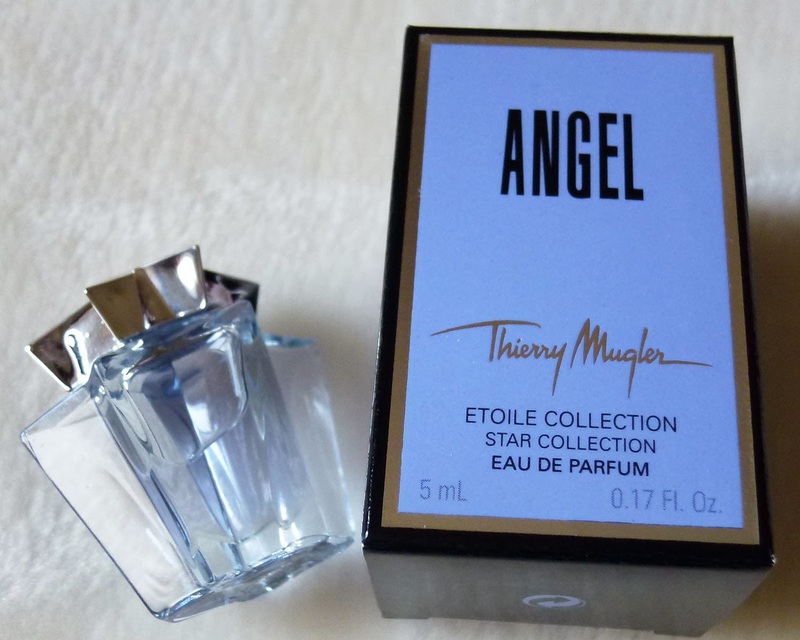 I love Angel perfume. The smell is amazing. I like your blog and am following now!. Thank you for mentioning me but kindly correct my name's spelling. It's Naznin not Naznina. 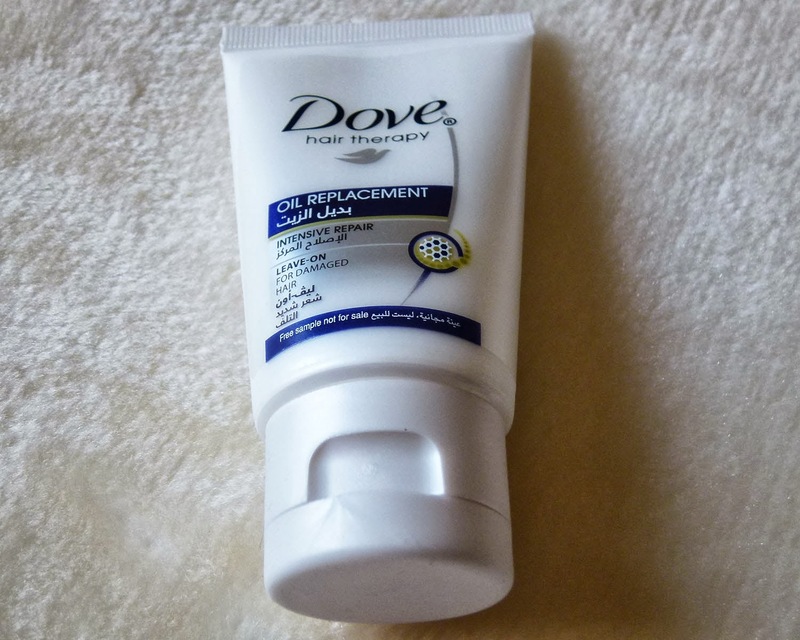 Once you try the Dove hair fall rescue why dont you leave your thoughts on my post?. That would be great!. Take care dear. Looking forward to reading more of your posts! Oops sorry Naznin .. 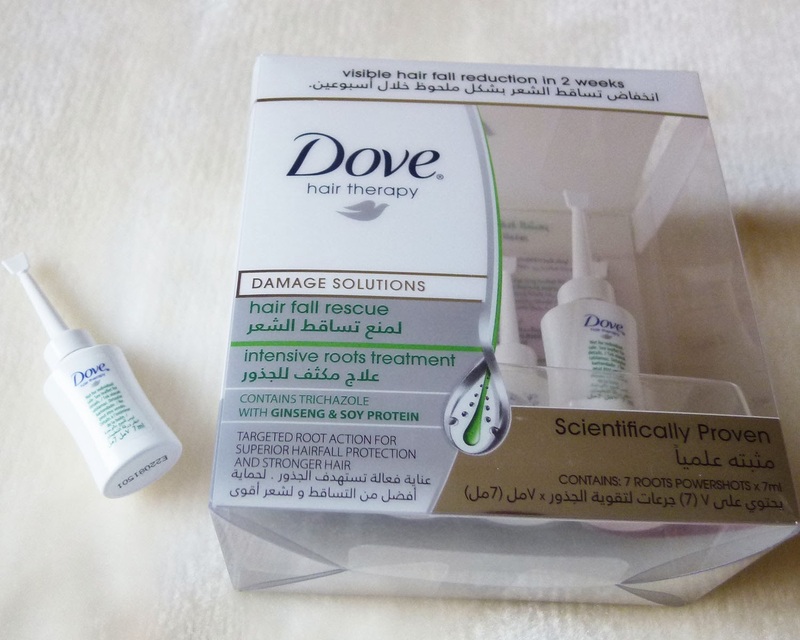 When I saw your full name nazninazeez , I mistook the name for Naznina... My bad...Will definitely let you know what I think about the Dove Hairfall Treatment... Thanks for subscribing..